Many factors come into play when it comes to buying a herbal vaporizer. In particular, a cannabis vaporizer must be able to meet the vaporization needs of the user. Since the vaporizers on the market are more and more, varying by characteristics and price, the editorial staff of Ganjanauta has decided to provide a complete guide to purchasing vaporizers, trying to provide detailed information on the subject based on what we have learned about vaporization using these devices. In addition to propelling the best vaporizers that online stores sells, we will talk about the benefits of vaporization, how to use a vaporizer, and what temperature ranges have to be set to achieve specific effects. We have mentioned the undesirable health benefits that let one prefer the vaporization instead of combustion. In this way, you can avoid the damage caused by burning, and therefore from smoking, such as oral irritations and respiratory fatigue and illnesses. Vaporization is instead a healthy way of consuming herbs, thus avoiding consuming by ingesting or inhaling smoke. 4 How does a vaporizer work? Below you will find price groups that will help you find which vaporizer can be the best trade-off between your consumer habits and the amount of money you are willing to spend. We will then explain what the benefits of vaporization are, and you will understand why being the vaporizer a substantial initial investment it will later prove to be a useful device (able to help improve your habits and save you time and money in the long term). We will soon see how a vaporizer works, being a high-tech device, and what temperatures allow activation of cannabinoids in cannabis; Finally, we will propose the top range of vaporizers, those products that, according to users’ opinions and online reviews, are being classified as the best vaporizers currently on the market. Let’s begin this vaporizers review by price, concentrating on some of the main features of each vaporizer. 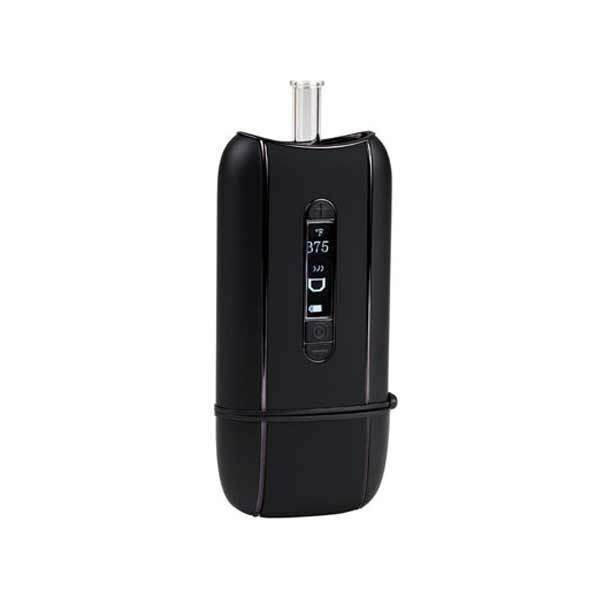 For a more in-depth look at the single vaporizer, just refer to the review in the box of the product. In this section we have selected for you some of the best herbal vaporizers, taking into account the price, but also their quality. 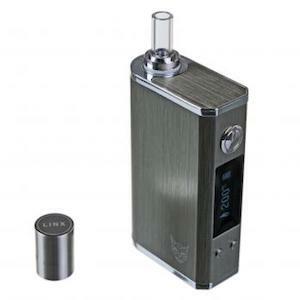 You will become aware of the best vaporizers with a cost less than £100, which guarantee excellent performances and are made of high-quality materials. Then you will be proposed vaporizers with a price of below £200, which lead to unique experiences and have many technological features, and vaporizers with costs below £300, which represent the perfect trade-off between functionality, design, effectiveness, and usability. Excellent quality for an affordable price at all. Temperature adjustable from 93 ° C to 220 ° C.
It heats in less than 30 seconds. It warms up in less than 40 seconds. Steam quality comparable to table vapor. Smartphone app for temperature control, for iOS and Android. The first question you need to ask yourself is whether you want a table vaporizer or a portable vaporizer. Although the latter is suitable both at home and abroad, many of them will not provide the same levels of functionality as their table brothers. Portable vaporizers have smaller rooms and less durable batteries than table-tops, so using them at home will require to recharge them regularly. If you want to vaporize more significant quantities or share vapor with your friends, then the table vaporizers are the best choice. Another advantage of table vaporizers is the versatility of inhalation: most portable appliances, in fact, allow the user to inhale only from the mouthpiece. Table lamps, on the other hand, allow a wide variety of ways to intake vapor: balloons, tubes and even bong extensions. Among the most famous table vaporizers, we would like to point out the vaporizer Plenty, a cheap device to enjoy with little expense a high range product. Vaporization is a method of taking cannabis or herbs for therapeutic purposes or aromatherapy, which eliminates the damage to the respiratory system. Vaporization means that the cannabinoids found in marijuana are activated at temperatures ranging from 150 °C to 230 °C, avoiding the combustion process and thus avoiding the respiratory tract to go under a very high-temperature irritating smoke (above 1000 °C). For those who use cannabis for therapeutic purposes, vaporization matters because it also allows those who have a body weakened by illnesses to be able to take cannabinoids without relying upon the stress and disadvantages of smoking. One can be able to overcome the problem of toxins that are found in a rolling paper, tobacco, and tar due to combustion. Thanks to the temperature regulating vaporizer settings, cannabinoids can be taken more efficiently because their effects are more consistent when one vaporizes at specific temperatures, depending on the cannabinoid you want to take. 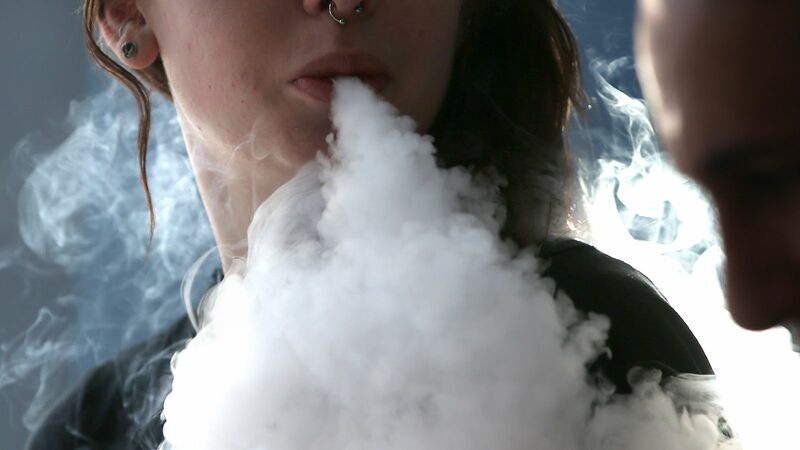 Vaping is, therefore, the only valid and non-harmful alternative to smoking, as it does not involve tar, toxins and other carcinogens that severely damage lungs and respiratory tract. Moreover, the vapor is not dense and sticky like the smoke from combustion, so it will be impossible for anyone to notice that you have just vaporized, as it is imperceptible to have smells inside a room after using these devices. The last remark about vaporization can be explained considering long-term savings: they serve tiny quantities (0.1-0.2 grams) to achieve remarkable and much more useful effects for therapeutic purposes than combustion. The latter indeed requires a considerable amount of herb and is not able to fully guarantee the potency and impacts of cannabinoids. In case of vapor, the presence of cannabinoids is over 90%, while in combustion only 12% is reserved for cannabinoids, with the vast majority reserved for toxins, carcinogens, and chemicals due to paper combustion. By personal experience, we can say that vaporizers have contributed in recent years to a revolution upon those who use cannabis or herbs for therapeutic, playful or aromatherapy purposes. In fact, vaporization is a very positive healthy attitude, as we have just expressed. Although the purchase of a vaporizer requires a substantial initial investment (but you can find numerous and valuable benefits with less than £100), the long-term experience will prove to be positive, not least regretting smoke and combustion. If you have the chance, inhale the vapor instead of smoking a joint: many coffee-shops provide their customers with grass vaporizers. So why not try it? Mainly there are two ways to heat the content of your vapor: by conduction or by convection. The conduction involves the transfer of heat through direct contact with the resistance, while the convection produces heat through the transfer of the air particles. With conduction, the herb warms up faster, since it is directly in contact with the resistance. With this technique, however, the heat is not evenly distributed (which makes it very difficult for those who have never vaporized), and a slight combustion may also occur, which, however, affects narrow or small parts of the herb inserted into the chamber. The price of vaporizers using this way of vaporizing, however, is much lower than those using convection. Convection is considered a more simple method for beginners but also more precise, as herb and resistance do not touch each other, avoiding the risk of burning. We have to mention that there is greater temperature control too. Conversely, devices that use convection are technologically more advanced, leading to higher costs. The vaporization of cannabis usually occurs at temperatures between 157-220 °C. 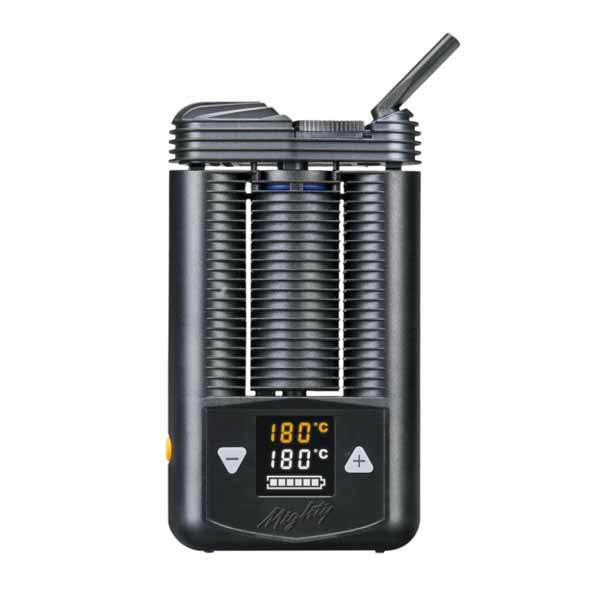 Some vaporizers allow you to set the temperature while others are designed to reach specific temperatures automatically. Devices that provide temperature control tend to have one of these three options: a temperature range (where vaporization of different types of herbs, not necessarily marijuana), an adjustable knob or a digital display. This last option allows you to set the temperature more precisely. All three options, however, maintain a stable temperature during the void. Usually, vaporizers that do not have temperature control options are based on how fast you are inhaling. Learning how to maintain stable heat is a significant milestone for those who use these devices. In addition to homogeneity, temperature control also allows you to release specific elements contained in marijuana: for example, if you are a therapeutic cannabis user, you will need to vaporize at a given temperature to obtain the CBD (in this case it will be between 160°C and 180°C). Most manufacturers, however, only tend to market THC vaporizers. If you are not looking for something specific, then any device is excellent. Another important factor when choosing a herbicide vaporizer is feeding. This speech fits more easily to pen or portable vaporizers, as table devices usually work through power sockets. Although some portable vaporizers are powered by butane, most of those currently on the market need rechargeable batteries. Unfortunately, it is difficult to compare the quality of vaporizer batteries without having them physically. In the case of internal batteries, make sure your vaporizer has a warranty sticker that covers the battery compartment. One last thing to keep in mind before buying a vaporizer is to look at what accessories you could use. Almost all vaporizers require some form of maintenance, whether cleaning, recharging or replacing parts. Although most of the vaporizers are supplied ready for use, some of these accessories may be quite expensive. Almost all the vaporizers illustrated in this guide are sold together with a kit that allows maintenance or cleaning for a while. The best way to avoid unwanted costs is to try and what accessories you need and how often it is necessary to buy them. The cost of a vaporizer may seem high at the beginning, as prices range from £90 to more than £500. As we have said before when talking about the benefits of vaporization compared to combustion, buying a vaporizer is no doubt a thoughtful gesture on your part. In addition to having health benefits, vaporizing is also a significant economic investment: the amount of cannabis to use is much lower, and the effects are guaranteed and much more perceptible. Nevertheless, since the amount of grass you use will be much less than what you used to use when burning, you will get more amplified effects, and you will taste more fresh and intense aromas than experiencing of smoking it (thanks to the vapor efficiency). You will cover the cost of the vaporizer within a few months, buying fewer cannabis or less herbs and getting more consistent effects. Apparently, the time it takes to cover the costs of this device will always depend on how much you are used to smoking and the prices at which you buy the herb, in addition to the cost of the vaporizer itself. Here is a list of the best vaporizers currently on the market, based on reviews and user opinions. The price of these vaporizers is over £100, but the return on investment is remarkable regarding health, habits that come up and savings over the long term. Before illustrating the top-of-the-range vaporizers, we point to the best low-price vaporizers currently on the market, at an affordable price for everyone. The most recommended are the Flowermate Aura, which you can find on Vaposhop at £89, and, at the same cost, the Boundless CFC, which you can find on the same site at this address. 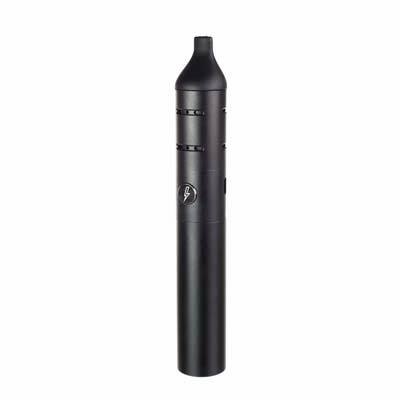 To these are added the previously mentioned vaporizers with prices lower than £100. 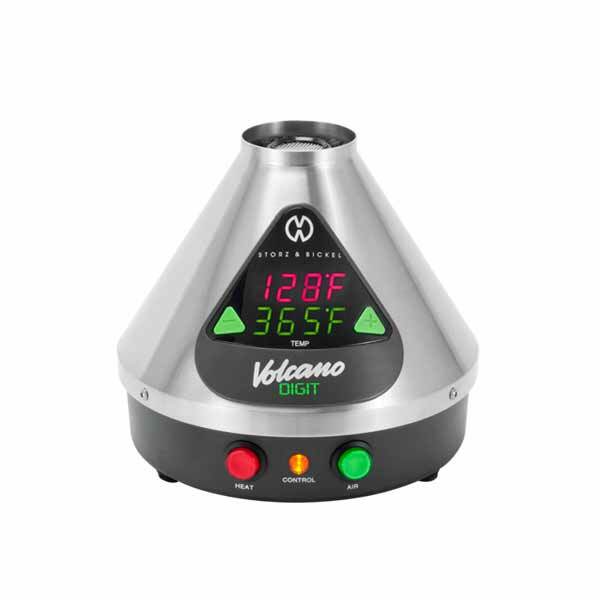 The vaporizers we are up to date are at the vanguard of technology in this industry. 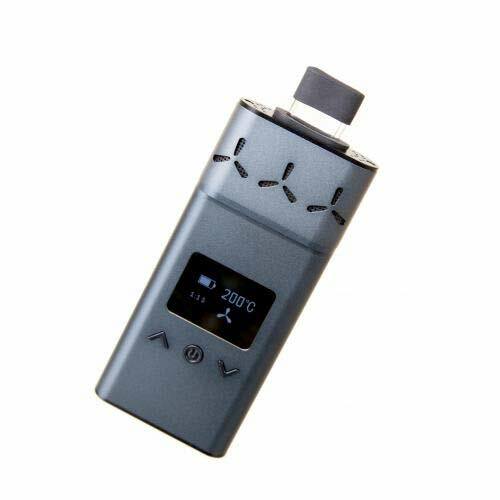 They are the best in the market, with smart features dedicated to battery saving and intuitive use of the vaporizer. The design and quality materials aim to deliver you a clean and pure vaporization and to meet the needs and comfort of the customer for making the experience truly unique. Let’s start with this final roundup! 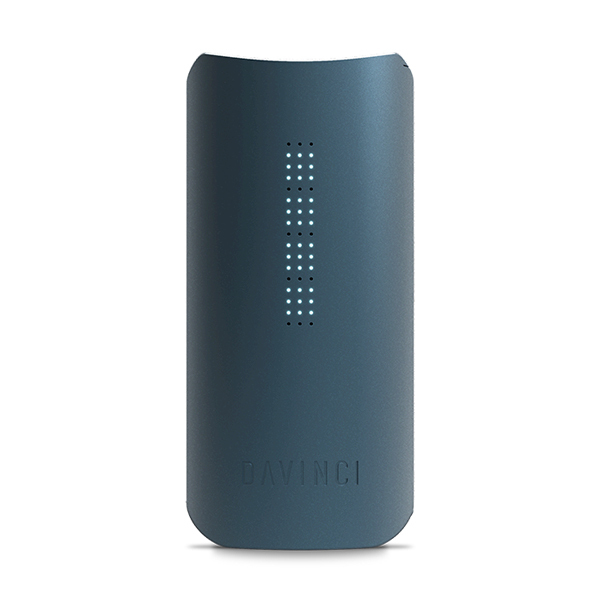 The Davinci IQ is an intelligent vaporizer model that seamlessly integrates its functionality with its design and high-quality materials with which it is manufactured. The Davinci IQ introduces the innovative use of zirconia (material much more resistant to ceramic heat and with the same steel toughness) for the creation of mouthpiece and vapor chamber. This guarantees the purest and clean of vapors. The presence of the “aroma room” allows you to place in the vapor path an extra dry grass to personalize the taste and the aroma perceived. Temperature levels can be adjusted via Smartphone App. The Arizer Solo II is only 11 inches long, making it the top of portability and usability even when it is out of the house. Using a borosilicate glass tube as a mouthpiece allows the steam to be cleaner and sweeter. 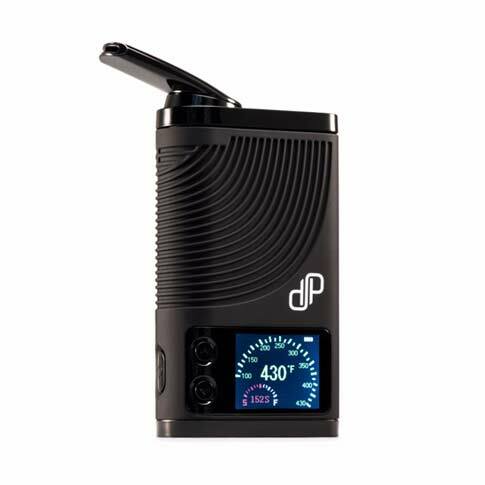 The digital screen enables you to adjust the temperature so that you can understand the temperature that best suits your style and your needs regarding effects and flavor. 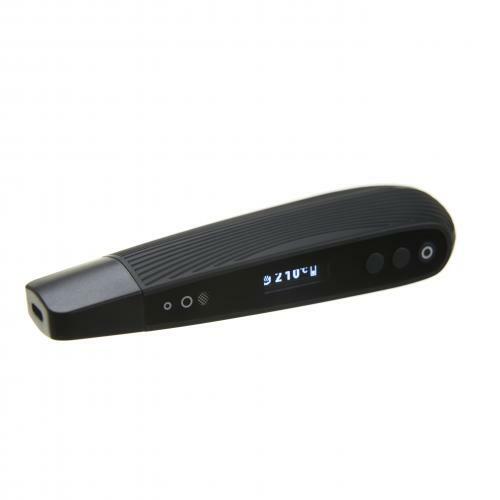 The peculiarity of this vaporizer is its remarkable battery life, which also takes up to 200 minutes. 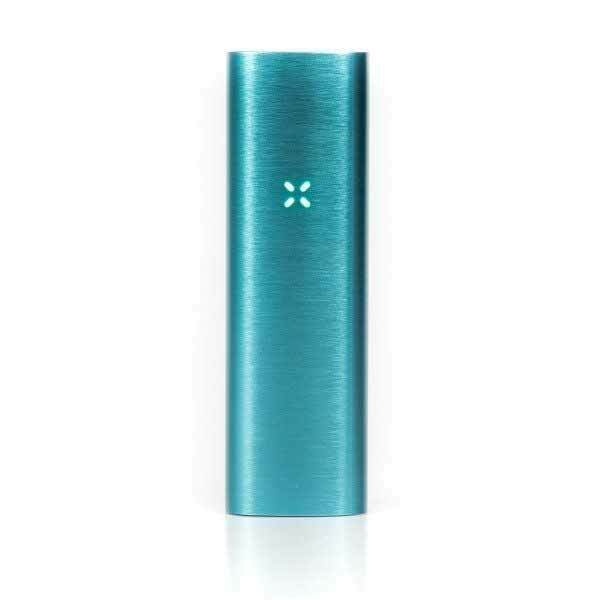 The Pax 3 is the worthy successor to Pax 2, which continues to be one of the best portable vaporizers on the market today. 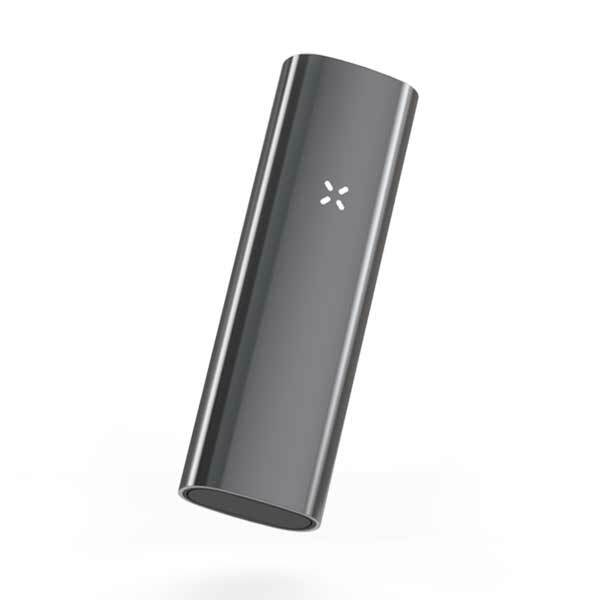 The Pax 3 adds to the features of Pax 2 the ability to use the heat chamber to vaporize both dry and concentrated herbs. Pax 3 heating time is also halved compared to Pax 2, while battery life increases by about 20%. The state of the device is communicated through the LEDs on its facade, and the entire device control can also be made via App available for both iOS and Android. 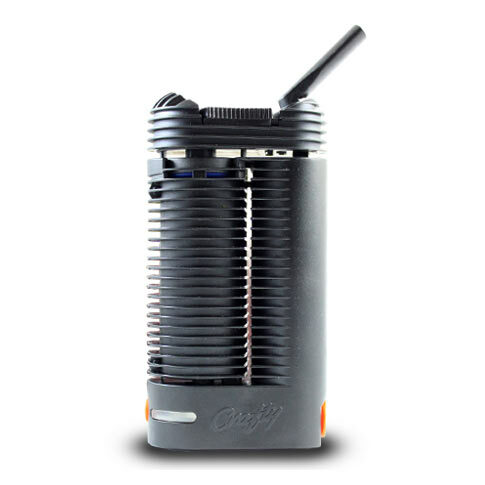 From the creators of the legendary Volcano vaporizer, Storz & Bickel comes the crafty, avant-garde of these devices. 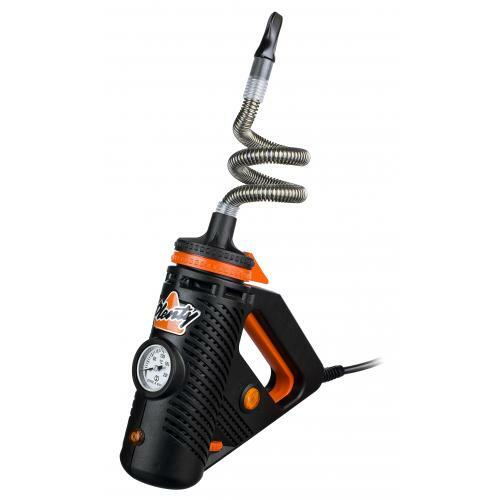 Its hard plastic design makes it rugged to touch: a special design that allows you to dissipate heat without forcing you to inhale too hot smoke. The Crafty is controllable with a single button, although it can also be programmed via an app on the phone with Bluetooth technology. 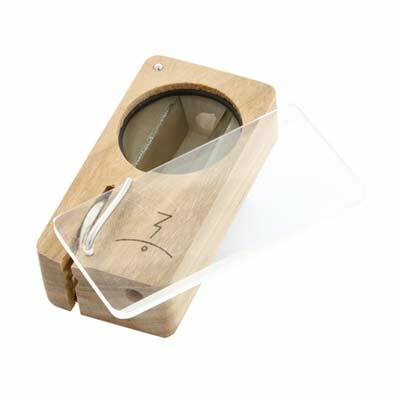 This device is perfect for vaporizing dried herbs such as oils or concentrates. The battery of this portable grass vaporizer is lithium ion. Mighty is Crafty’s older brother. Same manufacturer and quality assured. German engineering once again shows all its technique and precision. Same speech made before with the Crafty: you can use either dry herbs or oils or concentrates. It is slightly larger than its younger brother and weighs about 230 g (it’s not exactly light, but it can not be said to be heavy). This model cannot be controlled through an app on the smartphone, unlike its younger brother. The batteries (yes, they are two) last a lot longer than the Crafty, reaching a 90-minute autonomy. Like all Storz & Bickel cannabis vaporizers, the warranty is 2-year. 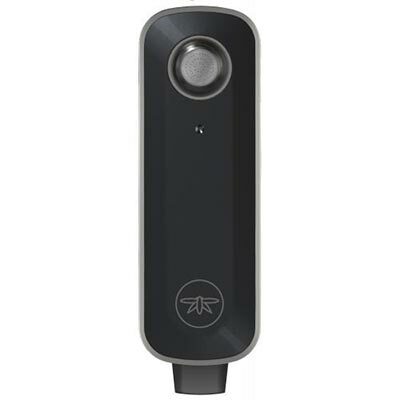 Firefly 2 is the flagship product of the brand Firefly Vapor, and comes with many enhancements to its predecessor. The heating time is almost instantaneous, as the heat chamber is ready in less than 5 seconds. It can be used both with herbs and concentrates. Smoke emissions are minimal and the small weight, accompanied by its small size, allows portability in a very satisfying way. Last but not least, there are the robust and efficient Volcano Classic and Volcano Digit, respectively acting like the famous king and the current king of table vaporizers. Anyone has seen or heard of the Volcano. Concerning the Volcano Classic, materials, perfect machining precision and ease of use make it a state-of-the-art technology device. 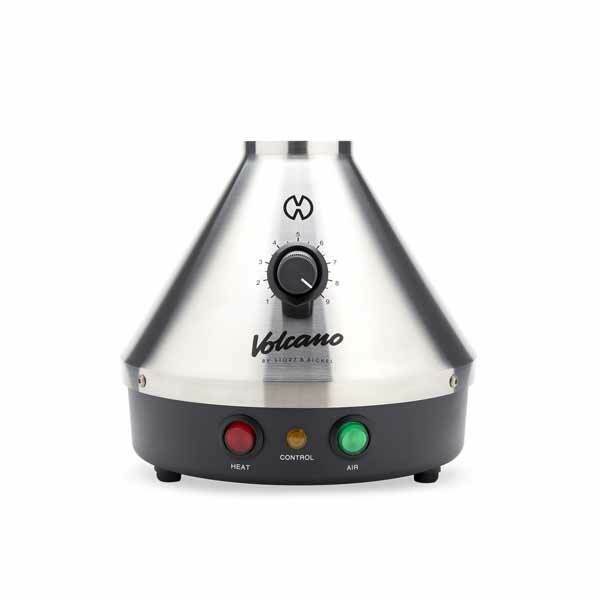 If you are passionate acquaintances and lovers of vaporization, then the Volcano grass vaporizer cannot be missed in your collection. The heating method used is convection, making it impossible to combine the herbs. The Volcano Digit is the king of table spoilers 2.0. Its LED display allows you to adjust and manage temperature with maximum precision. 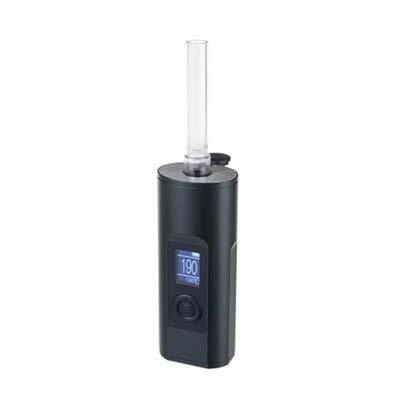 The price of this vaporizer is prohibitive, but we can assure you that it is worth it: one hundred euros of difference with the previous model, but you will notice the differences. Most likely we are facing the best herbal and aromatherapy vaporizer of all time. It is a device intended to last forever. We hope this guide has been useful to incorporate you into the use of vaporization as a healthy alternative to combustion but which has helped you choose the device that best suits your personal and economic needs. For further clarification or advice on individual vaporizers, do not hesitate to consult our reviews, which we propose in an up-to-date and constant manner, or contact us. PS: If you want to receive discounts, news, and updates on vaporizers you can subscribe by entering your email in the box below. © Ganjanauta - 2015-2018 - All rights reserved - ATTENTION: This site does not want in any way to encourage conduct prohibited by current legislation. All information contained is intended for the purposes of a more complete general culture. The webmaster, the staff and the editors of Ganjanauta.com are not responsible in any way for the improper use of the information proposed here.